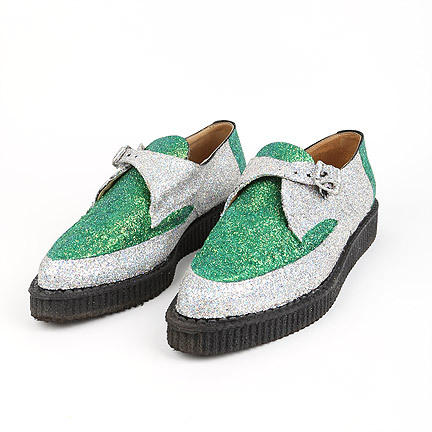 These shoes were worn by the character "The Riddler," portrayed by actor Jim Carrey, in the 1995 motion picture, "Batman Forever." 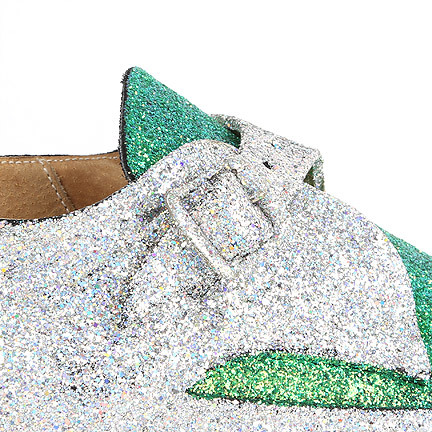 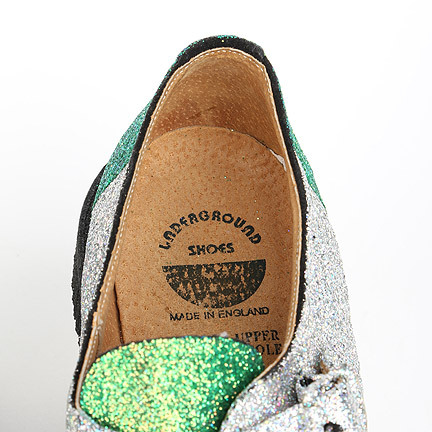 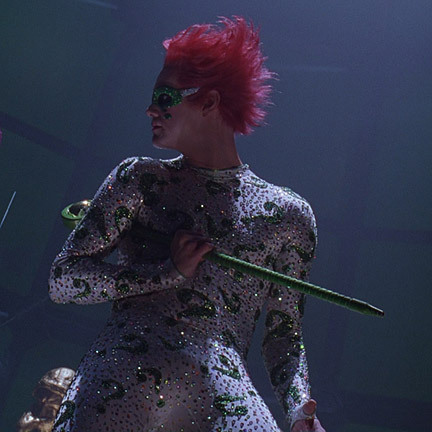 Made by “Underground Shoes”, the size 10 leather shoes were hand-painted with green and silver glitter to match with the elaborate rhinestone suit that The Riddler wears during his final scenes. 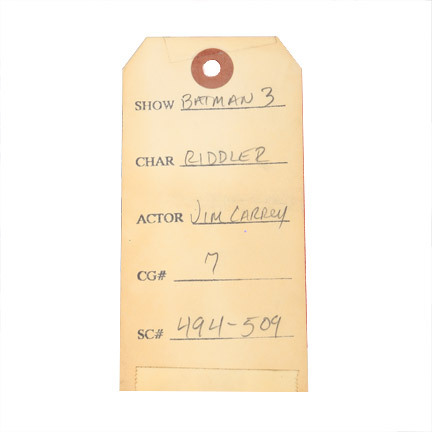 The original costumer’s tag is included with the following information, “Show: ‘Batman 3’ Char: ‘Riddler’ Actor: ‘Jim Carrey’ CG#: ‘7’ SC#: ’494-509’”. 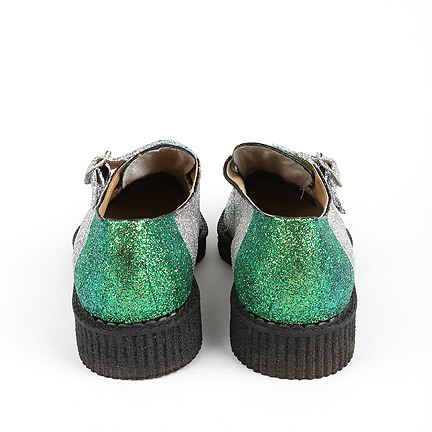 The tag is attached to the original box, which is included with the sale. 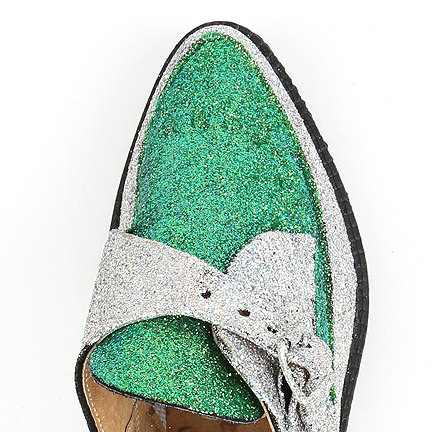 Mr. Carrey wears these shoes while sitting on his throne in Riddler’s lair on Claw Island. 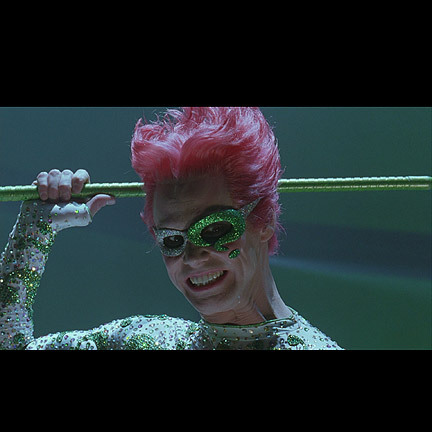 The Riddler confronts Batman (Val Kilmer) with the nearly impossible choice of saving either Robin (Chris O’Donnell) or Dr. Chase (Nicole Kidman). 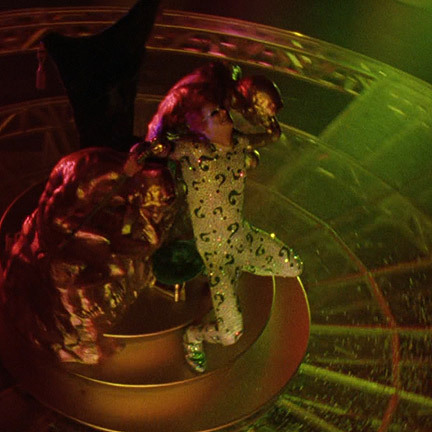 Batman manages to save them both and destroys Riddler’s brainwave device, causing him to have a massive mental collapse.